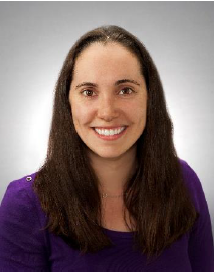 Daria Van Tyne, PhD, has been awarded funding in the amount of $746,957 for a three-year grant by the National Institutes of Health/National Eye Institute (NIH/NEI) entitled “Bacterial Evasion of Innate Defenses at the Ocular Surface”. This proposal is a continuation of a successful K99/R00 NIH funding opportunity submission from Daria’s time at Harvard University as a postdoctoral fellow. Bacterial keratitis is a sight-threatening condition often caused by gram-negative organisms. A recent study of keratitis caused by multidrug-resistant E. coli highlights the need to better understand how these bacteria adapt to cause disease on the ocular surface. This study will identify genetic features that contribute to tissue tropism utilizing comparative genomics approaches to compare large populations of gram-negative ocular bacterial pathogens with bacteria from other infection sites. The long-term objective of this proposal is to build a greater understanding of the gram-negative bacterial factors that contribute to corneal disease, and to target key processes for therapeutic development.